Swingline GBC CombBind C340 Binding Machine—The C340 CombBind manual binding machine is perfect for medium to large offices that need to create professional looking bound documents. Achieve perfect results every time due to the unique step-by-step workflow guide that leads users through the punching and binding process, using color coding and images to eliminate mistakes. This guide quickly checks document thickness, and selects the correct comb size for the number of pages you are binding. The C340 can bind up to 500 sheets, or a maximum comb size of 2 inches! There is even an easy-to-access chip tray on the side of the unit that collects the paper waste for quick disposal. Follow these easy steps for binding documents: "Puncher document"—binding up to 25 sheets at a time using the full-width ergonomic handle. Select the correct comb-bind spine size using the color-coded size guide. Color coding on the C340 coordinates with the color-coordinating packaging of spines. Load the spine onto the C340. Once loaded, open the spine by turning the handle on the side of the machine forward 180 degrees. Place your cover and punch document onto the teeth of the spine. Return the handle to its starting position, and you have a finished documents. It's that easy! If you ever need to alter your bound document, simply place it on the silver teeth, turn the handle on the side of the machine to open the spine, and remove and reload pages onto the binding comb. The CombBind C340 Binding Machine creates both letter and oversize bound documents. Plus, it comes with a one-year warranty. Purchase your CombBind C340 Binding Machine today! The Swingline C340 CombBind Binding Machine is an excellent document binding solution for medium to large offices. This mechanical binding machine is capable of binding up to 500 sheets of paper, and is equipped with a step-by-step, color-coded visual sizing and process guide. Check out the video for a step-by-step demonstration of the simple process of document binding with the C340. 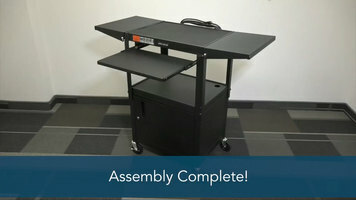 Step-by-step instructions make assembling your Luxor adjustable metal cart a breeze! This video ensures that you can have your Luxor cart up and ready to use without a problem as it shows every step of the assembly process. 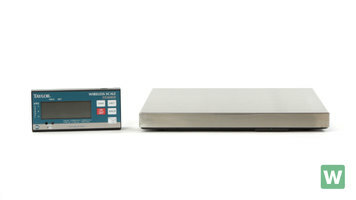 Are you in need of an easy-to-use digital portion control scale? Find out why the Taylor TE22FT is right for you, in this quick video! 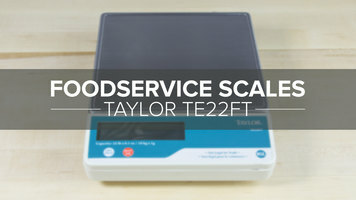 The Taylor TE-30WD 30 pound digital portion scale is perfect for controlling portion sizes to save your business money! Built to be easy to clean and simple to use, this scale can be plugged into an outlet or run off of AA batteries.